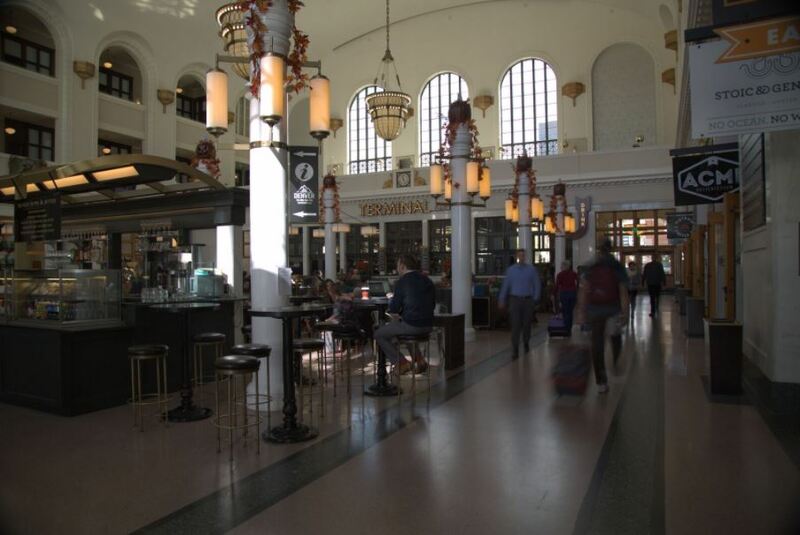 The restored lobby in Denver’s Union Station. In the mid-1990s, historical preservationist Dana Crawford and hotelier Walter Isenberg found themselves getting a martini in Denver’s Oxford Hotel. Located in the historic Lower Downtown, or “LoDo,” area, the Oxford is Denver’s oldest hotel, and Crawford and Isenberg had just teamed up on a restoration of the property. “Let’s walk across the street,” Crawford told Isenberg. They walked into Denver’s Union Station. Lit dimly with fluorescent lights hung from the vaulted ceiling, the boarded-up walls penned in the handful of passengers waiting for a train that came just twice a day. Two decades later, Union Station is alive. The main waiting room has become less living room for downtown Denver and more family room. Bars, shops and restaurants surround a space with comfortable couches, chairs, tables—even shuffleboard. Travelers wait for the train to the airport; business deals are made; families on their way to a sporting event catch a quick bite to eat. The furnishings—rich brown wood and leather with brushed brass accents—feel fresh and modern but nod to Union Station’s past. All around the main waiting area, one-time railroad offices have been converted to luxe hotel rooms with historic features. (The Union Station waiting area is actually the lobby of the 112-room Crawford Hotel, the only hotel in America in an operating train station—but train passengers and the general public get to enjoy it too.) The station hosts 10 restaurants and bars, from Snooze, which wakes up its guests with chiles verdes eggs benedict, to high-end oyster restaurant Stoic & Genuine. Developers often like to talk about all the ancillary investment a project will bring, but at Union Station you can see it. To the northwest, just beyond the swooping train shed on a reclaimed rail yard, are a dozen city blocks of brand new housing and commercial development. From 2012 to 2017, downtown Denver saw $5.3 billion in total development projects completed or under construction. Of the 87 projects tracked by the Downtown Denver Partnership, 33 are within a 10-minute walk from Union Station. Nothing else in Denver is such a magnet for investment and growth. And none of it could have happened without banks. Like Union Station, Denver’s LoDo area had become a neglected skid row by the late 1980s. Investment had shifted east toward the modern downtown skyscrapers, and businesses were located in Denver’s far-flung suburbs. The economy was driven by oil and gas, and the city went through an economic rough patch. Bit by bit, preservationists and entrepreneurs grew interested in the historic warehouses and brick buildings in LoDo. There was the Oxford Hotel. In 1988, a group of brewers that included future Colorado Gov. John Hickenlooper opened Wynkoop Brewing across the street from Union Station. “And we started to have a lot of residents in the Lower Downtown area,” says Isenberg. The effort to rebuild Union Station got a boost when Denver’s transit authority sought a plan to turn the facility into a multimodal transportation terminal combining commuter rail, Amtrak and bus transit. FirstBank was intrigued. Headquartered in nearby Lakewood, the $17.5 billion-asset bank is the largest based in Colorado and the second-largest operating in the state. 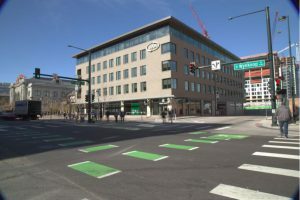 The company had opened its first downtown Denver branch in 1988 and “saw the downtown area as a flourishing area in future growth for the city,” reflects President Ron Tilton. Tilton had first called on Isenberg’s hotel company, Sage Hospitality, in 1990 and helped finance another downtown project—but the massive Union Station project “didn’t fit perfectly into our loan portfolio,” says Tilton. FirstBank ended up providing a $27 million financing package for the Union Station redevelopment and became a major participant in financing the revival of LoDo. “We’ve financed about half of those projects from that 1990 to 2005 timeframe,” says Tilton. “It really exploded our loan growth down here and developed several key relationships.” The Downtown Denver Project estimates that from 2012 to 2017 alone, downtown—and LoDo in particular—has added more than 9,000 new housing units and 3.5 million square feet of new real estate. 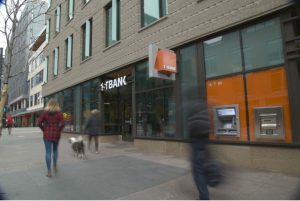 FirstBank also moved staff into new offices in LoDo and opened a branch adjacent to Union Station, one of its three downtown branches. Alpine Bank was the first bank to locate on the Union Station block in downtown Denver. It’s a $3.5 billion-asset community bank headquartered a few hours up I-70 in the Rocky Mountain resort town of Glenwood Springs. Participating in the LoDo redevelopment was a natural fit for the bank, which—given its origins in Colorado’s mountain communities—has a strong focus on sustainability and environmental stewardship. In 2017, the bank won an ABA Community Commitment Award for its program to buy and donate solar panels to a nonprofit that provides them to low-income families, freeing up money from their energy bills. Alpine Bank’s Denver branch at Union Station. And FirstBank continues its partnership with Sage. “We’ve had partnerships on credit facilities in excess of $100 million, and if you think about all of those projects and the success that’s created for Sage and then the great places it’s created in Denver, it’s pretty fun to say you’re part of that,” says John Markovich, a commercial lender who manages the Sage relationship. Small and medium-sized businesses may have fueled LoDo’s renaissance, but downtown Denver was able to thrive because of another critical asset: large corporations with local operations. Large companies drive employment and attract new talent to the area, and large corporate headquarters often bring in or develop locally a cadre of high-skilled and well-paid talent. This dynamic magnet creates a naturally growing population of people who want to live and work in Denver’s burgeoning downtown. Greater Denver is home to some of America’s largest corporations and most recognized brands: DaVita, Arrow Electronics, Dish Network, Liberty Media, Chipotle Mexican Grill. It’s also the site of major industrial or business operations for Coors Brewing, Raytheon, Lockheed Martin and United Airlines. 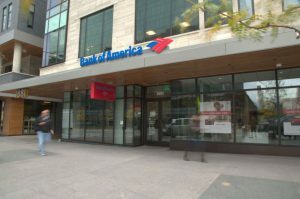 Bank of America is the third bank located on-site at Union Station. One of these major employers is Ball Corporation. Perhaps best known for the iconic Ball jar—a division long ago sold off—Ball today is in three high-tech manufacturing businesses. The most prominent is the 300 million aluminum beverage cans the company makes each day. (That’s not a typo. If you buy a soda or a beer in a can, odds are two in five that it’s a Ball can.) It also makes high-tech glass products for aerospace and satellite applications and advanced food and aerosol containers. 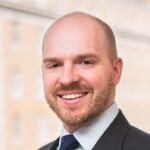 For example, Bank of America was the lead provider of “committed credit” that allowed Ball to make a “transformative acquisition” of a major public company in 2016, says Ball CFO Scott Morrison. And Bank of America is helping Ball centralize its European cash management, which will improve efficiency significantly. From 2006 to 2016, a period that spanned a crippling recession, Colorado’s economy grew by 4.3 percent, 90 basis points over the U.S. average during that same decade. Many attribute the success in Colorado (and in Denver particularly) to its many and diverse banks. Bank diversity means there’s always a financial institution there for a business or consumer with unique needs. “There are small banks that have a very specialty focus that meet the unique needs of certain businesses, and then we need the large banks to bank those multistate customers, and then we fit there in the middle where we kind of go from small to large businesses and really tailor solutions that go up and down that scale of size,” says Jim Reuter, CEO of FirstBank. Banks don’t drive the economy, emphasizes Bank of America Chairman and CEO Brian Moynihan. “Banks reflect the economy. We help the economy happen.” Banks take deposits, turn those deposits into well-tailored loans, and those loans fuel investment and sales and job creation and more growth.